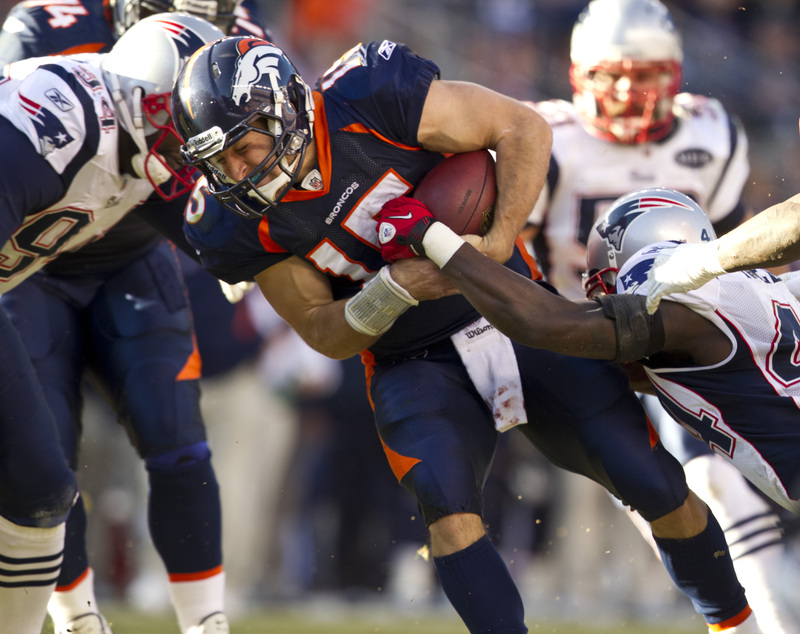 Sunday’s matchup between the Patriots and Broncos — or Tom Brady vs. Tim Tebow if you work in promotions — was so desirable to the networks that air NFL games that CBS and NBC battled over the right to air the game early last week. The reason was simple: Ratings were certain to be enormous. NBC lost out on its bid to “flex” the game into prime-time, CBS retained it in the 4:15 p.m. window, and today the predictions of enormous Nielsen ratings were confirmed. CBS received a 19.5 overnight rating for the Patriots’ 41-23 victory, as first reported by the Sports Business Journal. The game was available in more markets than any other CBS has aired this season. It is the network’s highest regular-season overnight since the Patriots’ 24-20 win over the Colts Nov. 4, 2007. Both teams entered that game undefeated. I’ll update with Boston numbers when they become available. According to the Denver Post, the game pulled a 40.6 rating and 74 share in the Denver market. Update: In the Boston DMA, the Patriots earned a 42 overnight rating and a 68 share according to an industry source. Both numbers are expected to rise even higher once Nielsen announces the final household figures later in the week.